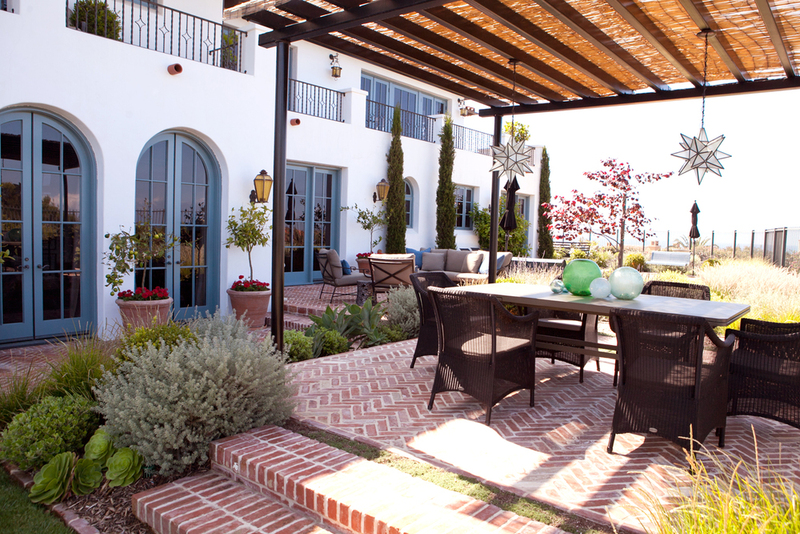 This classic Mediterranean oceanfront home is a great example of how we can update and improve upon an existing landscape. We designed around the existing pool, spa, and brick hardscape and added a bocce ball court, fire pit, and raised dining area to create a more functional, user-friendly space. 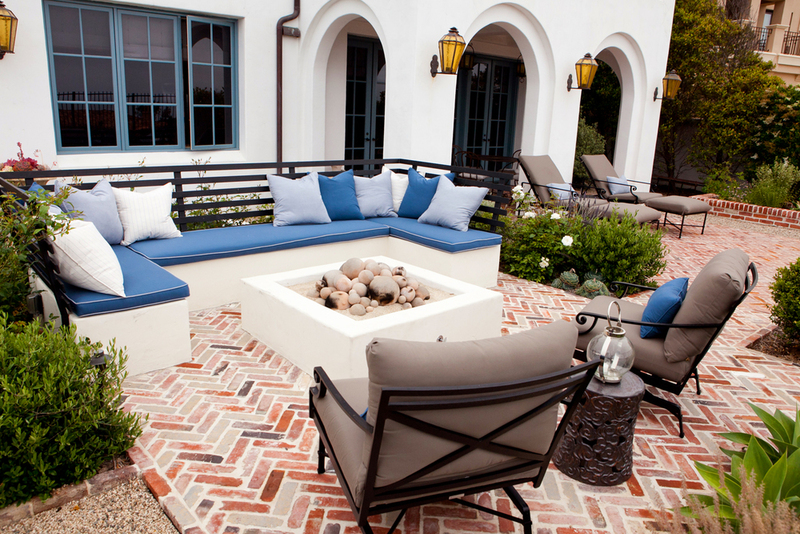 The hardscape materials were tied into by matching the brick and adding gravel to link the spaces. 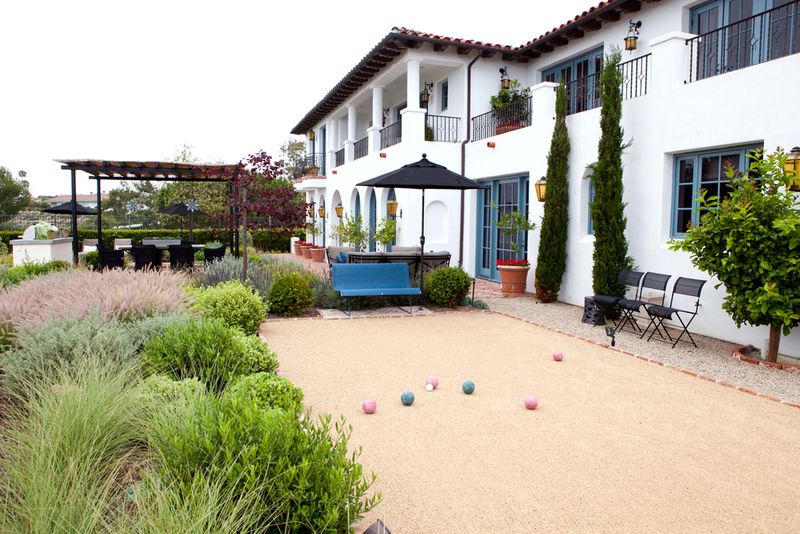 We chose plantings that are a combination of traditional species, to reflect the style of the house, and soft grasses to catch the ocean breeze as well as create a more casual atmosphere. Lastly we provided all custom furniture pieces and cushions, as well as all other garden accessories.